Novak engine mounts have been among our flagship products for over 40 years and always popular. Our classic engine mounts are still available. 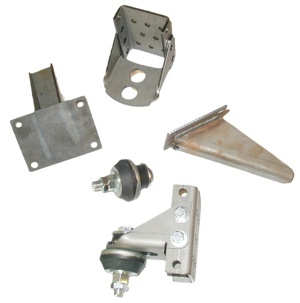 These mounts are weld-in style and detailed instructions will guide to an ideal installation. The Novak mounts feature thick 3/16” laser cut and CNC bent steel construction. After years of real world testing, these mounts have shown to handle even the wildest V8 with aplomb. 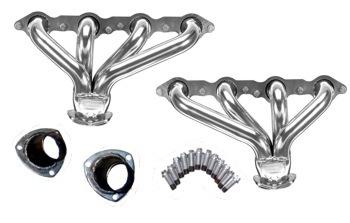 The design on these mounts allows outstanding placement freedom in most any vehicle that meets the width requirements and has parallel frame channels. They have a large adjustment range for placement in the vertical, left-right offset and longitudinal directions. All parts are ready to accept the coating of your choice which allows matching the brackets and adjacent frame area in paint, powder coat, or other finish. 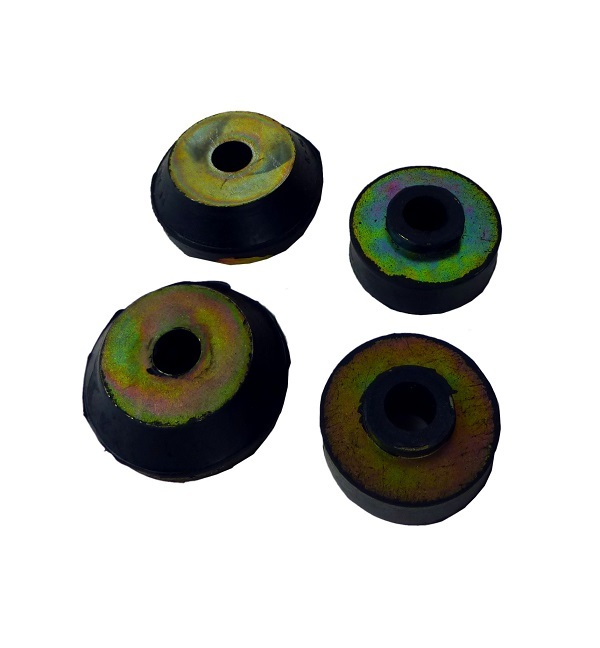 Each mount set contains left and right frame mount sets, two sets of urethane bushings, two engine plates, along with the necessary installation hardware and instructions. The "Low Hood" Jeeps really don't have the clearance needed for tall Vortec V6 & V8 intake manifolds. One must install the shorter LS series intake assemblies for hood clearance or make other accommodations. Some have gotten the 4.3L V6 to work in early low hood Flat Fender Jeeps with a mild body lift. Otherwise, the Buick V6 can be considered here. Other vehicles with parallel frame rails and an inside to inside frame width range of 25" - 31"
Mounts will fit GM Gen III & IV LS/Vortec V8 engines. Unbolting or cutting is required to remove the factory frame mounts for factory Jeep engines. This process will vary from model to model. You will want to completely remove and smooth the surface of your frame rails for a nice fitment of the new engine mount channels to your frame. * The "Low Hood" Jeeps really don't have the clearance needed for tall Vortec V6 & V8 intake manifolds. One must install the shorter LS series intake assemblies for hood clearance or make other accommodations. Some have gotten the 4.3L V6 to work in early low hood Flat Fender Jeeps with a mild body lift. Otherwise, the Buick V6 can be considered here. We at Novak receive many compliments on our engine mounts. Most customers find that it is liberating and satisfying to install their engine where they determine is the best place. The most prevalent complaint we receive about other companies' predetermined bolt-in mounts is the lack of freedom in placement for the varying situations each installer encounters with their Jeep. Installing an engine based on what may have been a decent location for the manufacturer's design project often presents some irritating, and otherwise easily avoidable, restrictions not present with a pair of our mounts. They offer the installer more options. Cradle style mounts were more popular in the '60's and '70's. We used to offer one. What everyone discovered was that the engine itself makes for a crossmember on its own. Being only inches behind the factory front crossmember, cradle mounts offer nothing more than a hindrance in the engine bay. A crossmember mount is usually the result of trying to retain use of the factory frame horns that are placed precariously behind the actual mount bosses on the conversion engine, and an attempt to rebalance the situation.